While we have a little bit of a lull of late in tech, I had a few things I thought might be worth discussing, and each on their own merits wasn’t necessary a whole article, but in their totality, they might be – so I am going to roll up a bunch of ideas together, and start a new special feature I’m going to call “Silicon Theories” – this will be the inagural September edition of what I hope to be a monthly thing. I’m going to collect of bunch of thoughts and ideas and submit them for your consideration. Google may introduce a home WiFi product along with the new Pixel phones – as well as the Google Home device announced at Google I/O earlier this year: October 4th is the day we expect Google’s next big event to announce at the very least, the new Pixel phones “made by Google.” The latest rumors have them potentially announcing and releasing two additional products: the Google Home device (a direct competitor to Amazon’s Echo device) and something rumored to be called Google WiFi – a device or series of devices that will allow you to expand the WiFi coverage in your home to eliminate “dead spots” or weak coverage areas. We discussed a little bit about the Google Home product during our Google I/O podcast, and we both here think its going to be a winner (especially priced at the rumored $129) – but are the vast majority of the worlds homes ready to become “smart homes?” Amazon’s Echo (and Dot as well) products leverage the Alexa personal assistant tech, and Amazon’s own large ecosystem to make it relevant. There’s also been a bit of a marketing push for Amazon of late, notably with celebrities like Alec Baldwin touting its impressive feature set. Will most of America find it just as easy to talk to Google Home and are we ready for our smart appliances to talk back to us? Google appears to be betting on a “yes” answer. The smart WiFi product could be a great boon as well, and as Google deals primarily in search, allowing people increased access to the internet using its own products and capturing their search results and other data only makes them a stronger player in both advertising and search itself. I personally don’t mind handing over my data to our new Google/Alphabet overlords, but there are some who are leery of doing so (perhaps with good reason) – its all fun and games until Google Now becomes Skynet…but by then we’re all doomed anyway. Apple is making changes other than removing headphone jacks from the iPhone – speaking of folks who are leery of handing over their data, this recent article from The Verge about Apple’s increased push towards TouchID usage sparked an interesting monologue in my head. I first reviewed Apple’s biometric log-in solution on the iPhone 5S I use through my employer. Its simple, fast, and easy to use. Its not foolproof however, and others who have both physical reasons for having flawless fingerprints and other personal reasons for choosing not to use it are going to reach a crossroads very soon (if they are Apple users at least, and even quite a few Android OEMs are moving this direction as well) – in an increasingly “short attention span, instant gratification” world, people want things faster and easier than ever before in history. We have faster mobile phones, tablets, and laptops; we have faster wired and wireless access to the internet. Someone at Apple clearly thought that typing in a secure password took too long and so they developed a way to unlock their devices (and subsequently use those same biometrics for things like payment systems a-la Apple Pay) using any available fingerprint. But as seen, there are basic levels of security that can only be accessed using a PIN or other alternative secure unlock method (after a reboot of your device for example, a biometric event is not accepted) – so those with a personal or physical desire to not use fingerprints might not be left out in the cold completely. But they may in fact be without access to certain additional features as we become increasingly more reliant on these biometric “conveniences” (Samsung even recently added a feature to implement retina scanning as a unlock method) and for those that won’t or can’t use them having to find other workarounds. And that is a shame. There are rumors starting to surface that Google is looking to fold its 2 different operating systems together, creating a hybrid OS that can run on any mobile phone, tablet, and laptop – blending Android (on mobile phones and tablets) and Chrome OS (on laptops referred to as Chromebooks) into one new system, code named “Andromeda.” This has the potential to do many things for Google, not the least of which would be to put them in direct competition with a company like Microsoft, with Windows. As most know, Windows is the most used PC operating system in the world, and its not really even that close. The Android operating system is the most prevalent mobile OS in the world, and again, not really that close. There have been many developments in the laptop computing world of late, but one of the most significant was the ability for Chromebook to run certain Android apps – that’s means that all your stuff in apps like Evernote can now be accessed via your laptop. That’s almost Apple level integration there, and perhaps a future even exists where Microsoft’s Windows is no longer the biggest driver of our PCs and mobile devices. The future for Alphabet/Google could be very bright indeed. So there you have the Silicon Theories – September edition. Feel free to let us know what things are on your mind in the comments below, or hit us up at silicontheory@gmail.com – thanks for reading! It appears that on October 4th, we are going to see the unveiling of the newest phone offered by Google – and we anticipate these will be the Pixel and Pixel XL. If you’ve caught the latest Silicon Theory Podcast, you’ve heard a little bit about the upcoming device. Now, for the first time, we get to take a look at some renders and some alleged pictures. First, there is now some scale to determine what size the phones are going to be. They are compared with the latest Google phones (the previous Nexus devices, the 5X and 6P) and also with the iPhone and iPhone Plus devices. This gives us a really good idea of what to expect in the form factor of the new devices…I for one am very excited. The rear mounted fingerprint sensor (also seen on the 5X and 6P) is seen, along with a camera module next to what appears to be a large LED flash (far left) and some other sensors (to the right of the camera module) – the fact that the camera module appear to be flush mounted in the rear of the device is a big plus that I think a lot of folks will like from a style standpoint. What do you think about Google’s design choices for their Pixel and Pixel XL devices? [Guide] Thinking about buying the new iPhone? As always, you can check out all our thoughts in audio form about the latest iPhone via the Silicon Theory Podcast, on iTunes, Google Play Music, or SoundCloud. After you’ve done that, head on over to Apple’s official site for the iPhone 7 and 7 Plus here. There have been rumors that the iPhone 7 Plus has been sold out prior to launch, so if you are looking to get the bigger iPhone version, you might be waiting for a little bit. Verizon has also recently confirmed they have zero iPhone 7 Plus models in stock today as well. Bummer. Make sure you check out the Verge’s official recap of the iPhone event, with the 11 most important takeaways. Spoiler alert: if you hadn’t already heard, the new iPhones no longer sport a 3.5mm headphone jack. Apple will give you lightning connection EarPods so you aren’t left hanging, but your existing wired headphones won’t be usable with this new phone. Sorry. Check out their review of the devices as well. Then head over to TechRadar and check out their slightly more opposite view over here and get another opinion. Lastly, head over to Wired and read their review too. Once you get through any (or all) of those, you should be well prepared for what you’re getting into. You can watch this video from Engadget to give you a good overview of the new iPhones as well. There are 2 new colors…black (more of a matte black finish, that looks pretty good) and jet black (which is the glossy piano black) – the jet black does come with a warning; it scratches VERY easily. Apple recommends you get a case for it almost as soon as you buy it. [Podcast] Episode 10 is now up! There has some talk floating around the internet about the next phones from Google, typically referred to as the Nexus program. There may be big changes in store for this program if the rumors are to be believed…we talk about all this and more during episode 10 of the Silicon Theory Podcast! Google has an announcement planned for October 4th, and we discuss what might come from that event. You can find us on iTunes, Google Play Music, and SoundCloud, just search for “silicon theory” – hit the subscribe button on your favorite platform to get all our new content as well. And make sure you leave a 5 star review if you like what you’ve heard! The next episode of the Silicon Theory podcast is now uploading, and will be available on all platforms soon. We recap the Apple iPhone 7/7 Plus launch event, and give our thoughts on whether or not we think Apple did enough to warrant you making this your next smartphone. There’s a lot of ground to cover here, so for the sake of time we didn’t touch on things like the Airpods, the iOS 10, or macOS items that were discussed during the event. Just iPhone (mostly) all the time. Check us out on iTunes, Google Play Music, and SoundCloud…cheers and happy listening! If you like our work, make sure you hit the subscribe button to get all our latest content. Just search Silicon Theory on any of those platforms! 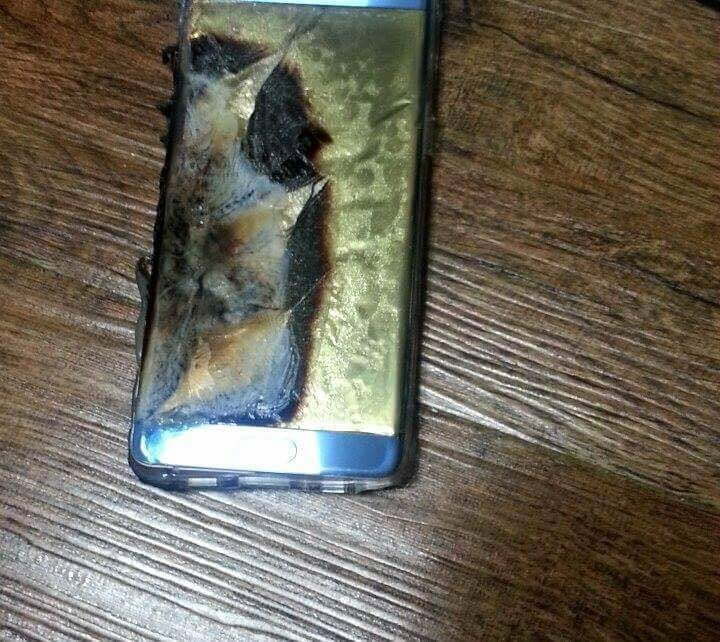 So, to recap, a very small number of the reported 2.5 million sold Note 7s had a faulty battery and so Samsung is issuing a recall for all of the devices – so if you have purchased one in the last few weeks since launch, you can replace your “might or might not” explode device with a “definitely won’t explode” one. If you read our guide to buying one of the new Note 7s, and went out and bought one….well, you are probably fine. All of the reported cases have been outside the United States, so if you are here where we are, you should be good. If you still want to get a replacement or a refund, check out the CNET article here. This is your Public Service Announcement.